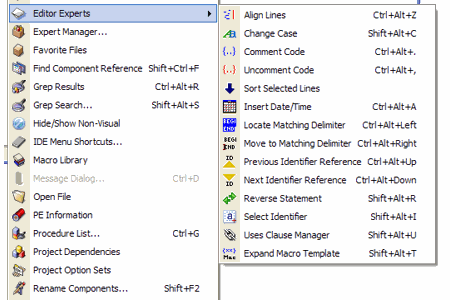 Extensive Editor Experts - Editor experts allow you to locate matching begin/end or parenthesis pairs, sort lines of code, define custom keyboard macros with parameters, quickly jump between identifier references, etc. Grep Search (and Replace) - Search ANSI, UTF-8, and UTF-16 text files using flexible grep regular expressions (including binary form files, open files, etc. GExperts 1.3.12 is now available on the download page and on Thomas Mueller's web site. This release contains support for Delphi 10.3 Rio and other enhancements and fixes. GExperts 1.3.11 is now available on the download page and on Thomas Mueller's web site, which also contains a summary of the changes. Note that Thomas has has taken over most of the development and maintenance of GExperts, so you may find more recent information about GExperts on the GExperts Google Plus page or his GExperts web site, if this web site is delayed in providing updates. 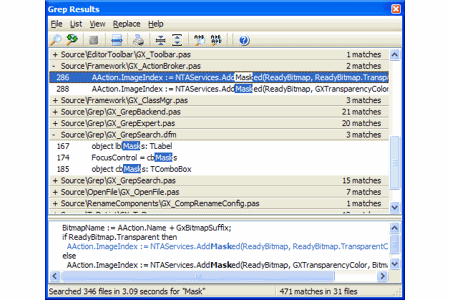 We have released GExperts 1.38 with support for RAD Studio 10.1 Berlin and 10.2 Tokyo. Tokyo support is considered an early beta release, but a few people have tested it with success. Please report any bugs you find using the Sourceforge issue tracker (requires a Sourceforge login) or the bug reporting tool in the GExperts about box. Thanks to Thomas Mueller who did most of the work for this release. Thomas also maintains the GExperts Google+ site, which you can track if you want more frequent updates on the project. We are still working on official support for RAD Studio/Delphi 10.1 Berlin. Until then, you can download a test release and provide any feedback. The RAD Studio 10 Seattle GExperts installer is not compatible with 10.1 Berlin. GExperts 1.38 Beta 1 with support for RAD Studio 10 and older releases is now available for download. We've done some limited testing with RAD Studio 10, but please report any issues you find using the bug reporting tool in the about box. The changes include RAD Studio 10 support and enhanced Unicode support in several tools (see the Readme.txt for more details). GExperts 1.37 for RAD Studio XE8 is now available for download. We've done some testing with XE8, but please report any issues you find using the bug reporting tool in the about box. GExperts 1.37 for RAD Studio XE7 is now available for download. We've only done minimal testing with XE7, so please report any issues you find using the bug reporting tool in the about box. A minor update for GExperts 1.37 for RAD Studio XE6 is now available for download. This minor update does not bring up the GExperts debug window on IDE startup and implements a partial workaround for some of the GExperts main menu images showing gray or invisible on some PCs. Disabled menu items might still be missing their images. The only workaround for that right now is to disable the ModernTheme200.bpl package in the IDE registry keys, which also reverts to the old IDE menu images. GExperts 1.37 is now available for download for RAD Studio XE6. We are not aware of any serious bugs in this release, but it has received limited testing due to the very recent release of RAD Studio XE6. Please report any problems you find using the feedback wizard in the about box. Note that the images in disabled GExperts main menu items appear an odd white rather than gray, but this appears to be a VCL bug in TImageList.GreyscaleFactor. GExperts 1.37 is finally available for download with support for RAD Studio XE5 as well as the older IDE releases such as Delphi 6 - RAD Studio XE4. The recent changes are described in the Readme.txt, but mainly involve adding an "Ignore Delphi Comments" grep search option and other small tweaks and bugfixes. This is likely to be the last GExperts release that will support the older IDEs before Delphi 2007. 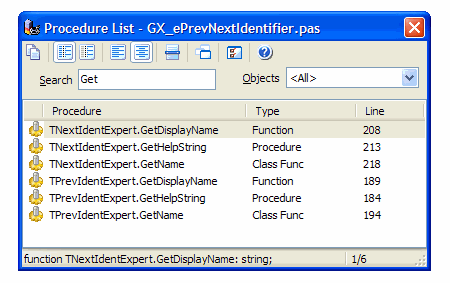 You can now download GExperts 1.37 for RAD Studio XE4. Support for the recently released XE5 is also in the works. The Readme file has some details on the recent changes to GExperts with the two most significant changes being the ability to ignore Delphi comments in a grep search and generated code preview support for the Components to Code tool. We have initial support for Delphi/RAD Studio XE3 available for download in GExperts 1.37 Beta 1. 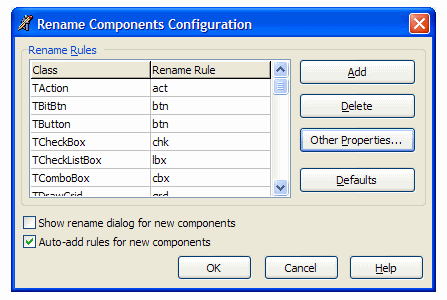 This includes a few small changes such as code preview for the Components to Code tool, better support for indented Message Dialog code, and a feature to close opened but unmodified files and force-show modified files when running Set Component Properties. It also includes an initial attempt to re-introduce the Grep Search "Ignore Comments" feature. GExperts 1.36 is now available for download for Delphi 6 through RAD Studio XE2. This release also fixes errors some people were seeing with the replace components tool in XE/XE2 and includes several other minor features and fixes as detailed in the Readme.txt file. We now have a pre-release of GExperts 1.35 available for download that supports RAD Studio XE2. We especially appreciate your help testing FireMonkey and 64-bit compatibility, support for unit scope prefixes, etc. GExperts 1.35 has been released and is available for download. It supports Delphi 6 - RAD Studio XE. 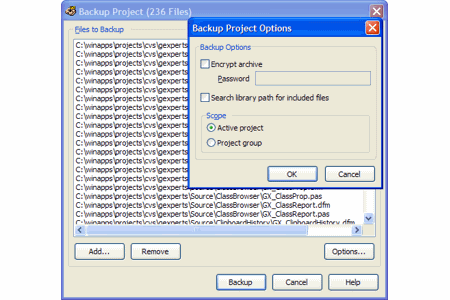 The latest changes are documented in the Readme.txt, including subgroup support for grep regular expression search/replace, a fix for the bug reporting tool disappearing, and changes to allow multiple groups of favorite files and relative paths in your favorite file lists, to support project or task-specific favorite file lists. GExperts 1.34 has been released and is available for download. It supports Delphi 6 - RAD Studio XE. The latest changes are documented in the Readme.txt, including XE support, a new tool to automatically set the FocusControl property of labels, grep search directory/file exclusion, and other small tweaks and fixes. 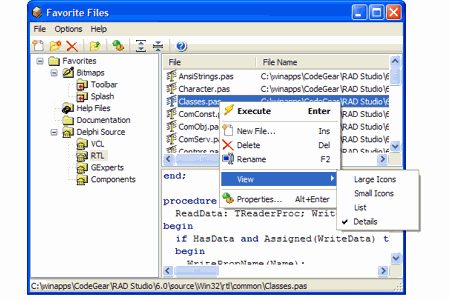 We have a pre-release of GExperts 1.34 for the the newly-released RAD Studio XE available. 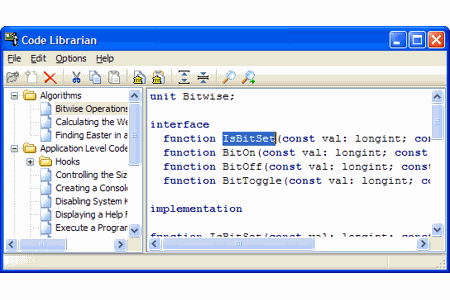 A full release including other IDE versions will arrive in the coming weeks. A big thanks goes to EC Software for their donation of Help and Manual 5 that we use to generate our documentation. We use Help and Manual because it is powerful, reliable, and can generate several output formats (html, chm, pdf, Word, exe, etc.) from a single source. We also need to thank VSoft Technologies for the donation of their FinalBuilder 6 automated build tool. 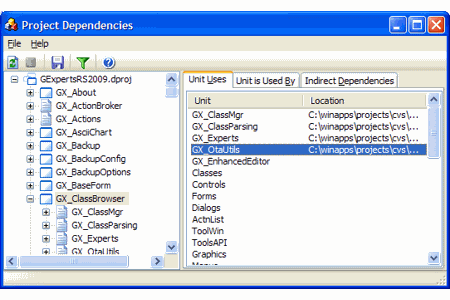 GExperts has to be compiled for 8 different IDEs, and without FinalBuilder, our build and release process would be a huge task. FinalBuilder makes the process fast, completely reliable, and (almost) fun. Daniel Maltarollo and I have been working on a tool that allows GExperts to intelligently set the FocusControl property for all of a form's labels at once. I appreciate his help building that tool. 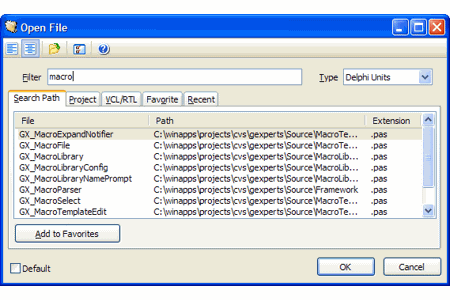 A version of GExperts 1.33 for Delphi and RAD Studio 2010 is now available for download.